[0:01] <boomclick> can you modify/create other files on your drive? [0:06] <boomclick> im not sure why you would get that error. i would reboot and try again. [0:15] <wadadli> not quite sure what to actually do with it heh! [0:18] <boomclick> i like starting servers on my pi with no gui, i recommend it. [0:22] <boomclick> wp: make an image of your pi's sd card with opencv installed. just install from that image. [0:23] <wp> yes but how do i do that? [0:23] <wadadli> Kryczek: heh! good idea, let's build a kernel. [0:24] <wp> boomclick, now after i have installed raspbian and then fetched open cv, can i burn my sd card to an image? (meaning i burned an image and used it on the pi, then installed opencv, can i then reburn that as an image? [0:26] <boomclick> yes, there are multiple ways. [0:27] <boomclick> the article only shows dd, but there are other ways. [0:51] <mfa298> creating an image you can easily and quickly write to an SD get's a bit more tricky. [1:25] <hypercore> what should i do with my pi? [1:27] <boomclick> hypercore: everything you've ever dreamed. build a server, automate something, or just explore. [2:09] <Kryczek> Is it possible to use the RPi's headphone socket as a serial port? [2:34] <Codsworth> does the rpi3 support monitor mode? [2:57] <CoJaBo> Codsworth: support.. what? [2:58] <Codsworth> well. does monitor mode work with rpi3? [6:43] <primenum> anyone ever setup two way audio with a camera on a raspberry pi? [8:55] <Greg-J> Any tips for desoldering the usb and ethernet off a raspberry pi? My plan is wick it with a chisel tip at around 400c first and then use the hot air gun to finish the job. [8:55] <Greg-J> I have never desoldered anything that is this stuck to a board though, so advice/tips are appreciated. [8:59] <Li> how to protect information raspberry pi sdcard from users? in other words, it's possible to encrypt or make binary version of sdcard memory contents? [9:53] <cerion> h. I have a tehcknet powerbank (9000mAh with 1A or 2A output) and a rpi0 powers up but shutdown just after part of the boot sequence say 25 seconds. I thought the current drawn was not enough and the powerbank shutdhown automatically. Now I bought another one a UrbanFactory 4000MAh 1A output and at first it worked from what I remmeber. But now i behave the same. why ? [10:10] <Li> another electronics question is about connect mosfet gate to gpio output signal, should that be OK knowing that the source and drain will be connected/grounded to completely diffrent power source other than the pi itself? [10:12] <zleap> Li: what is on your cards then? [10:39] <lastaid> has anyone experienced this bug with arch and the compute module3 ? [10:40] <Li> zleap: I was not asking whether it's ok or not, the question was how to protect the code. [11:01] <gordonDrogon> Li, mosfets won't normally talk to gpio outputs as you need a higher voltage at the gate to enable it to be fully on - look for logic level mosfets though. [11:02] <gordonDrogon> Li, oh - you want separate grounds - opto isolators then. [11:03] <gordonDrogon> Li, and your software model is wrong. Give them the code but sell support. There is no effective way to hide a plain text script. [11:12] <tomeaton17> I have got a working install of my project on a pi zero, if I create an image of it will it work on a pi 3? [11:13] <gordonDrogon> a Zero SD card will just plug into a 3. [11:15] <tomeaton17> But they have different architecture? [11:15] <gordonDrogon> that's taken care of. [11:15] <gordonDrogon> at least - the raspbian side of it all is fine. [11:15] <gordonDrogon> who knows about your own code - well you do, so ..
[11:16] <gordonDrogon> it should be fine if it's just comiled using no special flags. [11:16] <tomeaton17> Well we shall see! [11:16] <gordonDrogon> although I imagine it's an issue the other way - v3 to Zero. [11:21] <ShorTie> can you fit a gallon of water into a hafe-gallon bottle ?? [11:22] <gordonDrogon> if you have another Linux system, then you can use rsync to copy the data off the 'source' SD card into a directory then back to the new SD card. [11:22] <gordonDrogon> that way you copy the files not the device blocks. [11:36] <tomeaton17> Okay so if I used rsync how would I then install back onto sd cards? [11:41] <gordonDrogon> how about an alternative strategy: Make DEB packages for your stuff. Then they can simply be installed via dpkg -i or apt. [11:41] <gordonDrogon> then you just need to start with a bog-standard raspbian without the hassle of making a whole system. [11:44] <Spades> Hello. Has anyone encountered problems installing Nexmon patches/drivers to RPi3 Model B? [11:45] <ShorTie> what kind of os's do you have on other pc's, doing this on a running system isn't best ?? [11:49] <tomeaton17> Okay so I have copied all the files across now, is it possible to make an image from this? [12:26] <lastaid> i am going out on a limb here. could it be that the rpi firmware detects whether it is running on a raspberrypi3 board and then reads the cpuid in firmware and sets the smsc95xx mac address accordingly?? [12:36] <ShorTie> in your custom kernel, is the lan9514 built in or as a module ?? [12:44] <ShorTie> how is it "suddenly there" ?? [13:12] <lastaid> LAN9514 has an eeprom interface for reading settings. apparently the mac is programmed somewhere else. [13:18] <lastaid> ali1234: do you have any reference for this ? [13:19] <lastaid> ali1234: also thank you a ton! [13:20] <ali1234> for which part? [13:21] * ShorTie still wonders how is it "suddenly there" ?? [13:48] <katnip> should i need to reboot after every update like opensuse tumbleweed? [14:27] <lastaid> how can i check whicht dtb was loaded when the pi started/booted? is there a log? [14:58] <lastaid> Greg-J: you mean physically removing the LAN9514? [15:38] <gordonDrogon> you could start with raspbian-lite. [15:38] <gordonDrogon> or just ignore it knowing it's wasting some SD card space. [15:43] <gordonDrogon> start with raspbian-lite then and just install what you need. [15:47] <gordonDrogon> then it will pull what it needs. [15:48] <gordonDrogon> might also want to use --no-install-recommends there though. [15:51] <Lartza> Why would Chromium pull xorg-xserver? [15:55] <Lartza> So install the xorg metapackage? [15:57] <MacGeek> when is the new MagPi due? next thursday? [16:05] <MacGeek> saying that "issue 67 is out a week on thursday"
[16:05] <MacGeek> I thought they meant this thursday but it hasn't materialized so I guess it's next thursday? [16:43] <tommy``> guys, anyone made bartop with pi2? [17:19] <Alexander-47u> do I have to use a breadboard? [17:20] <akk> Alexander-47u: No, there are lots of ways of connecting things, including soldering, test clips, jumpers. [17:21] <akk> Alexander-47u: Breadboards do make debugging circuits easy, though; you'll likely want one eventually. [17:22] <gordonDrogon> Alexander-47u, breadboards make life easy, however maybe go and study some basic electronics first. [17:25] <Alexander-47u> what about humidity sensors? any easy ones like ds18b20? [17:26] <gordonDrogon> make an LED blink on/off first. [17:26] <gordonDrogon> and the Pi is supposed to be all about learning - although technically more programming than electronics, however there are 100000's of tutorials out there for simple interfacing. [17:26] <gordonDrogon> the ds18b20 is a temperature sensor, not humidity. [17:27] <akk> Alexander-47u: Si7021 measures temperature and humidity and it's pretty easy to use. [17:27] <Rickta59> did you purchase a sensor yet Alexander-47u ? [17:28] <Rickta59> are you looking to measure indoor temps and humidity? [17:28] <Alexander-47u> I don't even have a breadboard or a soldering iron, im ordering everything now for the first time. [17:29] <gordonDrogon> is a cheap combined temp & humidity chip..
[17:32] <akk> Alexander-47u: When you're ordering parts, google for the part number and raspberry pi first to see how easy it is to get sample code. [17:33] <akk> Some sensors are better supported than others on Pi (the DHT-22 and Si7021 are both pretty easy to manage). [17:42] <Alexander-47u> can I just solder it to the pi and done xD? [17:52] <gordonDrogon> Alexander-47u, do yourself a favour - order from a local shop first - that way you'll be guaranteed to get stuff that actually works and you get support. Sure, it may cost more, but support your local evonomy and they'll support you. [17:53] <gordonDrogon> maybe it's just me, but I like getting stuff the next day from sources I trust. [17:54] <gordonDrogon> my time is more valuable. [17:54] <redrabbit> im patient. i do other stuff in the meantime..
[17:56] <redrabbit> i compare .. i buy where its cheap. [17:57] <redrabbit> its the same brands, same items. [17:57] <gordonDrogon> Alexander-47u, what programming language are you good at? [17:58] <gordonDrogon> ok. so there are millions of good python tutorials out there - why not google for a few with that chip? [17:59] <GenteelBen> Are you 47 rack units tall? [18:00] <gordonDrogon> Pi Zero is cheaper than arduino. [18:02] <gordonDrogon> Zero W is �9.16. Arduino is more than that - then addon Wi-Fi - sill more. [18:26] <Alexander-47u> will this work with the raspberry pi without resistors :P? [18:28] <Alexander-47u> so I can just plug it in using dupont cables and done right? [18:28] <gordonDrogon> RoyK, anything < 80 is fine. [18:32] <gordonDrogon> so they ought to be fine, just slow when they get hot. [18:54] <DJDan> is RT2800 USB wifi driver installed by default on Raspbian on the RPI3? [19:14] <dex1983> and how I can convert it to micro usb? [19:15] <Vamava> I need to load the MAX3100 driver (https://github.com/raspberrypi/linux/blob/rpi-4.9.y/drivers/tty/serial/max3100.c). How do I do this? [21:28] <Alexander-47u> will this also work on the raspberry pi? [21:29] <Greg-J> Recommendations on a good but not stupidly expensive digital soldering iron? I'm done futzing with this $20 special. [21:29] <MacGeek> Alexander-47u: the problem I see with that module is that it says 5V. iirc the GPIO pins on a rpi are not 5V tolerant. [21:30] <gordonDrogon> Greg-J, I emergency bought a cheapish one off Maplin a few years ago when my old Weller eventually died - with a view to getting a decent one however its still going well. [21:30] <gordonDrogon> those sensors are mostly OK on the Pi. [21:30] <Greg-J> gordonDrogon, this one https://www.maplin.co.uk/p/60w-mains-lcd-solder-station-a55kj ? [21:31] <akk> I think there are lots of people using DHT22 without a level shifter, and I think I didn't have to use one either, but I can't swear to it. [21:31] <gordonDrogon> you can power them at 3.3v just fine. [21:32] <gordonDrogon> Greg-J, not that one. [21:33] <gordonDrogon> which is ok for now until I get round to buying a metcal one. [21:36] <Alexander-47u> gordonDrogon: will it be plug and play :P? [21:40] <gordonDrogon> however there are many examples online for this device. [21:40] <Alexander-47u> but I mean, the hardware part, will it be plug in play? [21:40] <Alexander-47u> I know how to code, just really noob at wiring stuff. [21:40] <gordonDrogon> you'll have to work out where to plug the 3 wires from the Pi to the device - and make sure they go the right way round. [21:40] <gordonDrogon> and as I suggested earlier, start with an LED. [21:43] <Alexander-47u> but can I just plug it in and give it a go? [21:46] <wadadli> I don't have an external monitor, any one tried installing Linux fully automated on one of these things care to chime in? 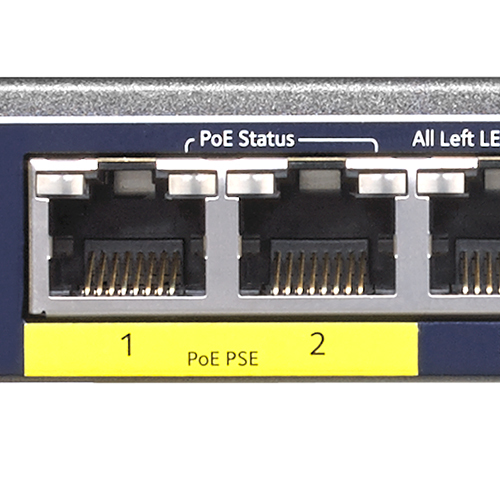 [21:46] <menon> if i have a switch that supports power over ethernet can i use it as regular ethernet? [21:46] <gordonDrogon> menon, usually, yes unless it's passive PoE. [21:46] <Alexander-47u> gordonDrogon: no soldering on resistor soldering stuff :P? [21:47] <gordonDrogon> wadadli, headless install is possible. [21:47] <gordonDrogon> menon, if it's 802.11af PoE then you're OK.
[21:47] <Alexander-47u> seeding is the term you are looking for. [21:47] <gordonDrogon> Alexander-47u, there is no ISO for the Pi. [21:48] <gordonDrogon> sure, but it's not ISO. [21:48] <wadadli> sure, is that like a kickstart file? [21:48] <akk> I'm not even sure what you mean by seeding. I download the image from the raspbian website, install it, then mount it and add the ssh and wpa files. [21:48] <gordonDrogon> in the Pi world you need to create files in the /boot partition. [21:49] <gordonDrogon> if it's a Pi v3 the nyou create a file called 'ssh' to let you ssh in via ethernet, if it's a zero, then you need to create the wpa file as well. [21:50] <wadadli> gordonDrogon: don't have an ethernet cable I believe. just wanna fully automate the install (including the network). [21:50] <gordonDrogon> menon, it's probably OK then. [21:51] <gordonDrogon> Alexander-47u, we really don't use the 'seed' term in the Pi world. [21:51] <TTT> btw, is there something like remote-scanner? Web interface or something? [21:51] <menon> gordonDrogon: also is a desktop port different or would it also get broken? [21:51] <gordonDrogon> menon, if it's standard PoE then you'll be fine as the remote device has to negotiate power before the switch turn on full power - the Pi won't do that. [21:52] <gordonDrogon> menon, it won't power the Pi though - you'll still need a separate adapter. [21:52] <wadadli> how do I go about 'seeding' the image Alexander-47u? [21:53] <gordonDrogon> proper PoE should not damage anything. [21:53] <Alexander-47u> what distro are you using wadadli? [21:53] <gordonDrogon> passive PoE will cause the transformers in the interface to get hot - as I found out once. [21:54] <Alexander-47u> if you google preseed you will find tons of information, as its a common practice. [21:54] <gordonDrogon> Alexander-47u, we still don't use that term in the Pi world, but hey, what do I know, I've only been using them for almsot 6 years now. [21:54] <Alexander-47u> preseeding is not possible with all linux distros I must add, only the ones that support it. [21:56] <Alexander-47u> preseeding works great. [21:57] <wadadli> do I just dd an image on to the Pi's sd and it boots, or does it actually have to go through an installation procedure? [21:57] <gordonDrogon> you dd the image to an SD card. [21:58] <gordonDrogon> no need to partition or format, the image has all that and on first boot it will expand the filesystem to the max. [21:59] <wadadli> oh well then I should be able to include all my network configurations then. [22:00] <gordonDrogon> if you're linux saavy then you could also mount the 2nd partition (ext4) which has the root filing system. [22:00] <gordonDrogon> and poke stuff into it before initial boot. [22:01] <wadadli> well I won't be able to do much, until the pi until it's on the WLAN. [22:01] <wadadli> there must be a way to fully automate this, even poking files around. [22:02] <wadadli> then reboot, even copy ssh key on. [22:04] <wadadli> I'll probably go with something RPM based. [22:04] <gordonDrogon> how many systems are you setting up? [22:06] <wadadli> oh sounds as if that requires me to hook a keyboard up. [22:07] <wadadli> I'm only speculating as I haven't received my micro sd card as yet, or else I'd have just figured it out already. [22:08] <wadadli> ali1234: what's the steps? [22:09] <wadadli> no no, that's not the way. [22:10] <wadadli> I need not touch things, the pi should be able to build itself from it's self. [22:11] <wadadli> no ethernet cables, just plug in, and configures itself. [22:11] <ali1234> what does that even mean? [22:12] <wadadli> then surely I shall be able to drop some network configurations for WLAN. [22:15] <Alexander-47u> anyone know any binary light switches? [22:16] <ali1234> you mean digital? [22:17] <Alexander-47u> wadadli: are you using linux as a desktop distro? [22:18] <TTT> ok, I also want a button on my PI, can I just buy any button and connect it to 2 GPIO ports and short them when the button is pressed? [22:19] <wadadli> for sure, and I can just configure /etc to my hearts desire. [22:20] <wadadli> adding configurations to /boot seems weird to be, especially when I can just mount / and configure it myself. [22:24] <sithlord48> the X is always perfectly on. [22:25] <sithlord48> im running arch on the pi so i might be missing some of the stuff in the /boot/config.txt? [22:27] <sithlord48> you would think if the calibration was off it would be off by the same amount reguardless of where on Y i touched. [22:28] <ali1234> why would you think that? [22:28] <akk> wadadli: They do it on /boot because it's hard on Windows and Mac to mount ext4, whereas /boot is fat. [22:47] <Li> what is the point of window10 iot core iso file if the installation can only be done online? [22:50] <ali1234> you need something to boot up the installer? [23:20] <Li> someone should invent a better suitable term for what these companies are doing. [23:37] <Lartza> Li, But... are you developing .NET applications? [23:45] <Li> isn't it strange when i do raspbian dd with bs=4M ..sd card won't boot but the same img file will do if bs=4M is dropped!! [23:53] <nolsen> Ello, I'm having troubles trying to play a 10-bit HEVC file which is rated for 1080p24 on raspberry Pi 3 and kodi, anything I should try to get it to play? [23:54] <nolsen> So anything I should try? [23:54] <Lartza> nolsen, Uhh no it's not? [23:54] <Lartza> Who rated it and where? [23:56] <nolsen> And I overclocked it the farthest it can go without crashing. [23:56] <nolsen> So I guess my only option is to re-encode it, rip. [23:57] <nolsen> I don't understand HEVC, so I have no idea what that means.